Before I begin, I ran into Terry Richardson on the street in Soho as I was walking to the venue where I would review my first collection of the Spring 2013 fashion week season! WAHOO! HILIGHT! 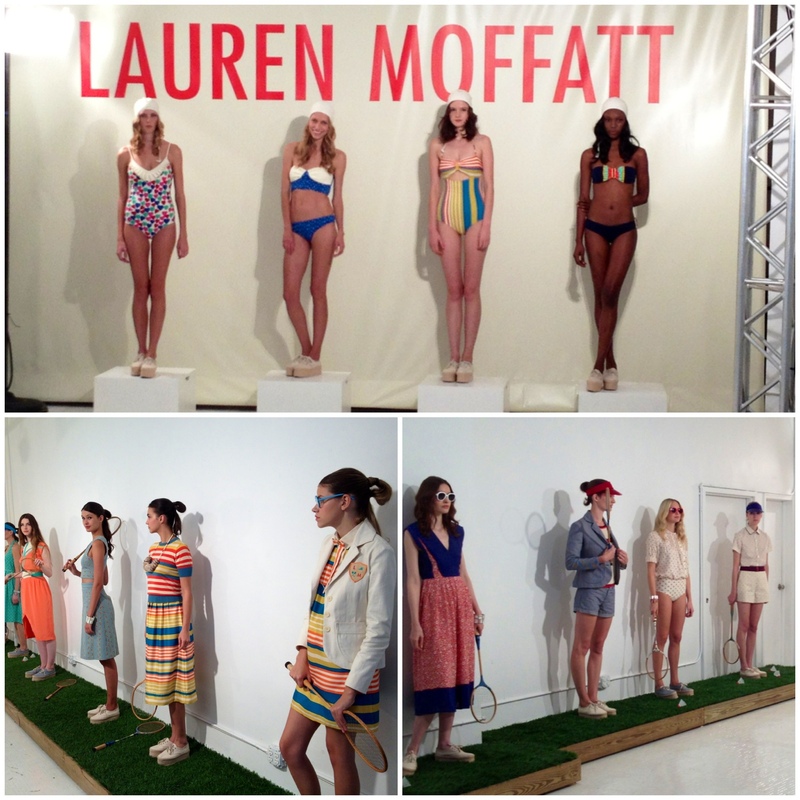 Lauren Moffatt’s spring 2013 collection was the first I had the privilege of attending. On such a gloomy and rainy day, the collection brought sunshine and happiness to all who attended! A bright & breezy collection, I’d like to call it! It brightened up my day! As I walked into the gallery (umbrella in hand) I was greeted by happy go lucky models sporting springy garments! As I walked around I noticed badminton raquets placed all around the room on elevated platforms the models stood on during the presentation. These platforms were covered in grass, making it as if they were standing on a grassy feild or a plush lawn! So Springy! I cal almost feel the cool summer breeze salts through the gallery space. 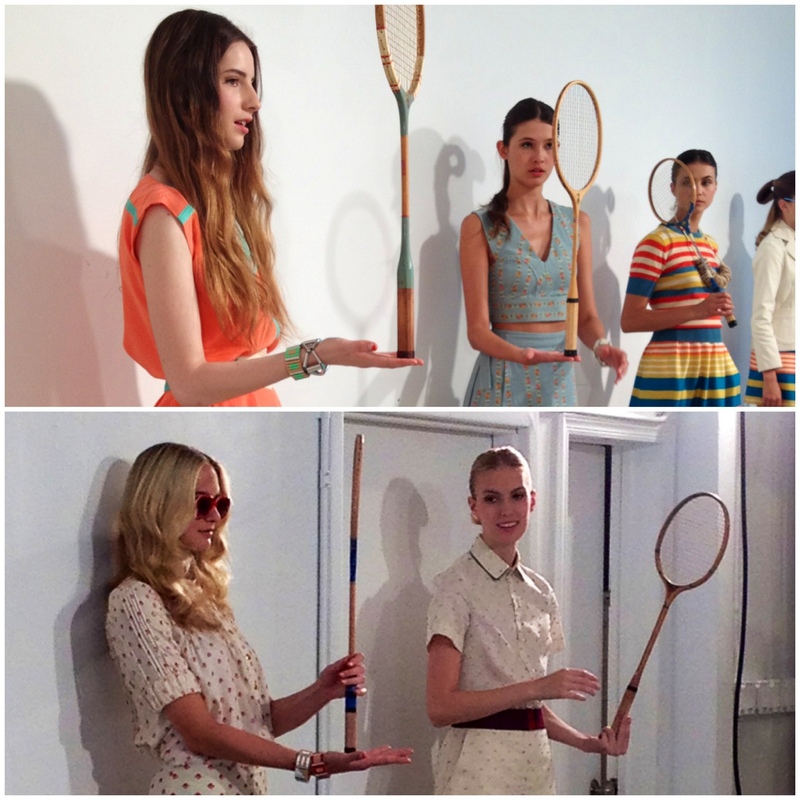 When the show began the models picked up the rackets and playfully used them as props. Periodically, the girls played a few games of tennis or badminton which entertained guests. It was truly adorable! I loved seeing smiling faces from fashion models! All were having fun in the ultra bright sun-like spotlights that surrounded the room. At the far end of the gallery stood four separated platforms that showcased individual models wearing swim suites, the grassy platforms aligned the perimeter of the room which showcased the rest of Lauren Moffatt’s collection. What was the inspiration of the Lauren Moffatt S/S 2013 collection, you ask? Ms. Moffatt drew inspiration from the prim and proper tennis and lawn outfits reminiscent of the 1960’s and the playfulness of the neighborhood swim club! The collection’s textiles consisted of floral printed denim, silks with leather accents and and crocheted shirts with beautifully wild cut outs. The clothing was 1960’s country club-esque from head to toe, from the tennis court to the swimming pool! I am ultra obsessed with these three looks! I gravitated towards them immediately. they remind me of an old updated yet vintage all American girl! These looks are something I would absolutely wear in a heart beat! I love the choice of color for these two looks and how they were grouped together in the striped print? These outfits are on the more sophisticated side showing how anyone can dress in Lauren Moffatt, no matter their style! 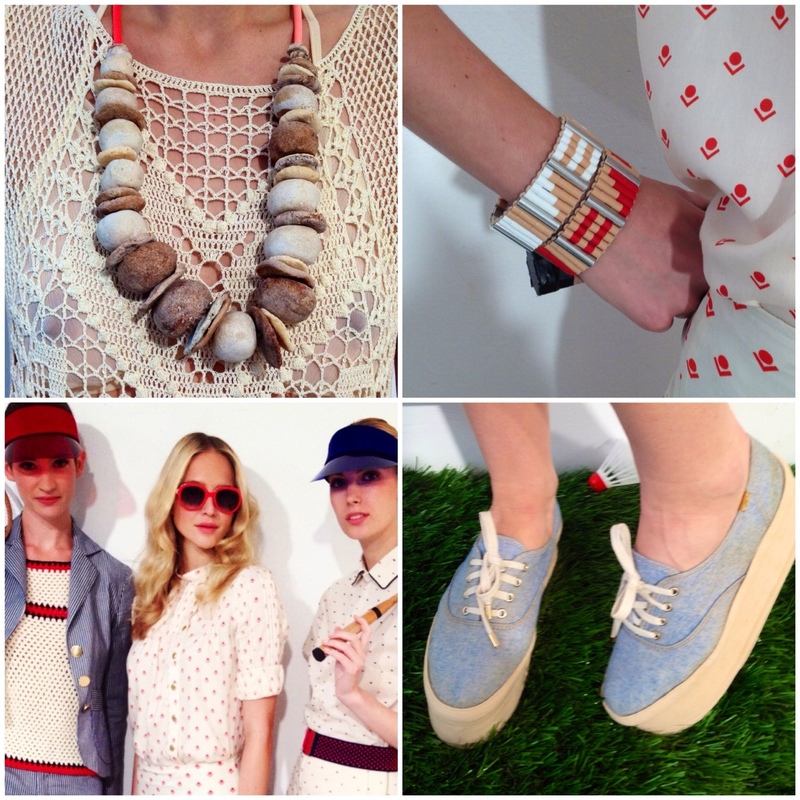 Nature inspired jewelry designed Growing, simple platform tennis shoes customized specially for Lauren Moffatt by Keds, retro inspired sunglasses from Selima Optique, and headwear by Tracy Watts New York. I’m so happy I was invited to view the Spring 2013 collection by Lauren Moffatt! I can’t wait to see these looks in stores next season!